Located approximately twenty-five miles north of Santa Fe, New Mexico, the city of Espanola offers a nice location, lovely residences, gorgeous natural beauty, and much more. Regardless of your interests, you will not struggle to find enjoyable activities to fill your free time when you are a resident of this city. Whether you are interested in nature or metropolitan life, you will discover activities that will complement your favorite pastimes. Available properties in Espanola include single-family homes, mobile homes, and land plots, so you are sure to find something that interests you. Homes for sale in Espanola are ready to impress you, so now is the time to consider what it would be like to call this city home. When you are a resident of this city, you will not have the chance to be bored. For example, if you like spending time outdoors soaking in the sunshine, then you will appreciate the wide array of parks and natural areas in the vicinity. Depending on the season, may choose to enjoy activities such as hiking, biking, kayaking, and snowboarding. During the summer, you may also choose to attend local fiestas that celebrate the cultural diversity of the city. Espanola is also home to wonderful restaurants. 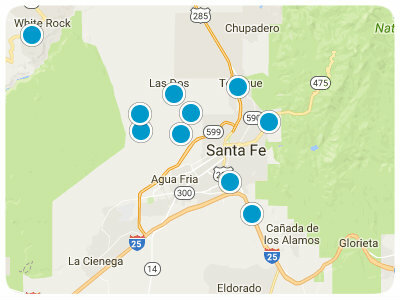 When you are ready for a change of pace, you can travel the short distance to Santa Fe. This city is known as an arts hub, so you will have may opportunities to attend captivating live performances, tour interesting museums, and explore impressive art galleries. Shopping in eclectic boutiques, attending fun local festivals, and browsing the farmers market are also excellent ways to spend time. No matter where your adventures lead you, you will be content when you think of your Espanola single-family home or mobile home awaiting your return. A convenient location, lovely natural scenery, and plentiful entertainment opportunities are only a few examples of what you will enjoy about living in this city. Espanola, New Mexico, single-family homes and mobile homes are ready to pique your interest, and you are sure to find something that suits your style. If you are ready for more information regarding Espanola, New Mexico, real estate options, please do not hesitate to contact us.